Oh, Canada, you are really the best sometimes. 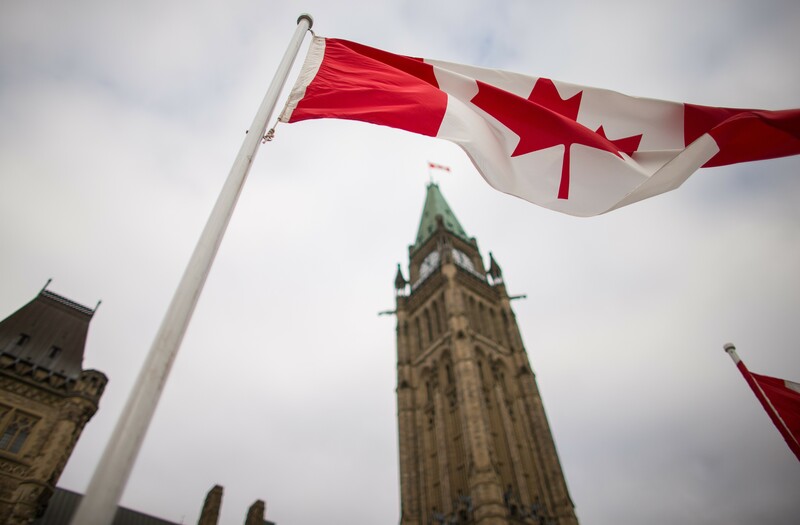 In an awesome move, Canada has voted to make their national anthem lyrics gender neutral. Because if you can't be inclusive in your national anthem, how inclusive is your national identity really? The bill, which successfully passed the Canadian House of Commons and now goes to the Senate where it is also expected to pass, would change the English-language lyrics of "O Canada" by removing the phrase “in all thy sons command” and replace them with “in all of us command.” It's a measure supported by the Liberal Party, though some conservatives oppose it, saying the there hasn't been enough time to consult the public about the change. Patty Hajdu, the status of women minister, however, is in favor of the bill. “I think it’s really important as a very strong symbol of our commitment to gender equality in this country,” she told reporters. Gender equality has been a prominent issue in Canada over the last year with newly elected Prime Minister Justin Trudeau making headlines for his feminists statements — and his willingness to back them up by appointing a cabinet that is 50 percent women. And now it seems the Canadian government wants to make sure that same spirit of inclusivity is enshrined in the country's national anthem as well. The measure passed the House by a vote of 225 to 74. As symbols go, changing the lyrics to the national anthem is pretty important. In fact, given that a national anthem isn't just part of a country's national identity but is also one of the symbols representing national identity, changing the national anthem to make it more gender inclusive is a way of signaling that the country itself is gender inclusive, or at least that it's mean to be. Which is the sort of message that goes beyond the symbolic. So what about the United States? Well, interestingly, the first verse of the "Star Spangled Banner," which is typically the only one ever sung, is gender-neutral. The "land of the free and the home of the brave" doesn't actually assign gender to those qualities, or use gendered pronouns or language at all in the first verse of the song — or in the three that come after it. The fourth verse, on the other hand, does does have a line about "freemen," a term which excludes not only women but, given the song was written in 1814, black people as well. And the fourth verse also goes on for a bit about "conquer we must," so honestly we should maybe just drop that one altogether. It's not like anyone sings it. Not that I expect the United States will ever actually do that. Most people might not even realize the verse exists, but the instant you try to drop it, suddenly, everyone will say you're destroying America's heritage. And therein might be the perfect metaphor for the difference between the United States and Canada. The former mostly tries to keep our prejudices out of sight to the extent that some people don't even realize they're there, but we aren't willing to actually get rid of them. Whereas Canada just changes things to make them better. Like I said, national anthems can be pretty reflective of your national identity, so it's pretty awesome to see Canada making theirs gender-inclusive. Oh, Canada, how we love you so.